SAINT JOHN, N.B. 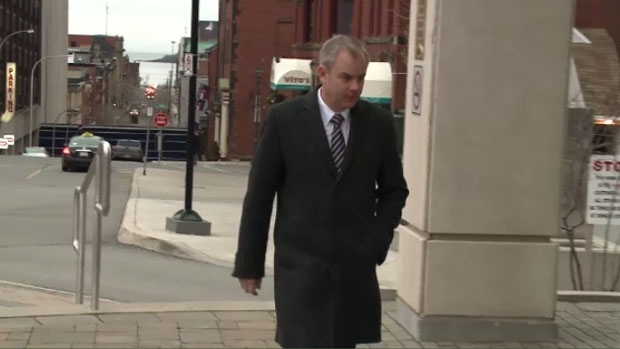 -- Jurors at the Dennis Oland murder trial resumed their deliberations today. The sequestered jury began its discussions Wednesday afternoon in Saint John, N.B. , after Justice John Walsh of the Court of Queen's Bench completed delivering his instructions to them. That took two days and the jury deliberated Wednesday for five hours before retiring for the night. Oland has pleaded not guilty to second-degree murder in the death of his father, well-known New Brunswick businessman Richard Oland. The elder Oland was found dead in his Saint John office on July 7, 2011. He had suffered 45 blunt and sharp force blows to his head, neck and hands.